Phnom Penh Post, 30 April 2012: A brief firefight at Preah Vihear leaves one Cambodian soldier shot. Science Codex, 09 May 2012: The discovery of a previously-unknown people living in the Cardamom mountains, contemporary to Angkor and evidenced by jar burials is announced. DVXUser, 14 May 2012: Oh Angkor! is a minidocumentary by Gunther Machu using the quotes of historical travellers to the ancient city. Phnom Penh Post, 25 May 2012: A rare piece that is not about Angkor – the Phnom Penh Municipality purchases a war relic found in the Mekong: a wing of a Cambodian aircraft from the 1960s. New York Times, 01 June 2012: Cambodia is seeking the return of two statues from the Metropolitan Museum of Art. CNN.com, 07 June 2012: This editorial asks if Cambodian ‘blood antiquities’ should be returned. Jakarta Post, 24 May 2012: The tomb of a South Sulawesi king, Sultan Hasanuddin, is found desecrated. Jakarta Globe, 31 May 2012: A minister for Education and Culture raised awareness of the “pitiful” state of some of the country’s museums. 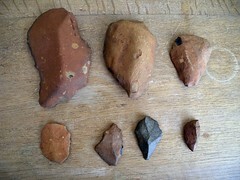 Bernama, 04 June 2012: Archaeologists announce that the Sungei Batu site in Kedah may be one of the oldest civilizations in the surrounding region. Myanmar Times, 30 April – 6 May 2012: Three Pyu sites will be proposed for inclusion into the World Heritage List by the Ministry of Information and Culture. The Straits Times (via Jakarta Globe), 24 May 2012: A feature on historian Thant Myint U and the Rangoon Heritage Trust. Myanmar Times, 04-10 June 2012: A recent conference on conservation strategy stressed the need for a conservation plan for the colonial-era buildings of Yangon. AFP, via Channel NewsAsia, 30 April 2012: As many as 50 of Philippines’ indigenous languages may become extinct in the next 20 years. Philippine Information Agency, 02 May 2012: The World Heritage Committee issues a set of guidelines for the management of the Ifugao Rice Terraces. The Philippne Star, 08 May 2012: A proposal to declare the Ille Cave in Palawan a heritage park. (See also here). Philippine Information Agency, 28 May 2012: Archaeologists arrive in Butuan to resume excavations of a Balangay boat. Inquirer, 29 May 2012: A speculation of whether World War II artefacts were unearthed during a public works project and illegally sold. Minda News, 30 May 2012: Excavations of the 4th Balangay boat begins in Butuan. Philippine Information Agency, 04 June 2012: National Museum Archaeologists working to excavate another Balangay Boat in Butuan have reported that they are 1/3 of the way complete. via the NSC Archaeology Unit, 09 May 2012: For those who missed it, Prof. John Miksic’s talk on Guerilla Archaeology in Singapore is now online here. Daily News, 10 May 2012: Sri Lanka authorities report a steep rise in the theft and looting of sites. Bangkok Post, 17 May 2012: The oldest junk in the world returns to Taiwan after sailing from San Francisco. Bangkok Post, 04 May 2012: Ayutthaya tops Global Heritage Fund list of endangered sites in Asia (see also here). Penn Museum Blog, 08 May 2012: Kelsey Johnson blogs about her close-up photography work on Ban Chiang pots for analysis. Saigon Giai Phong, 09 May 2012: The Ho Citadel receives the title of World Cultural Heritage Site. Vietnam Net Bridge, 13 May 2012: A feature on a priest at Ho Chi Minh City and his collection of lamps and books. Vietnam Net Bridge, 17 May 2012: A set of 14th century Buddhist woodblocks have been recognised as Unesco World Heritage.